Trusted Dentist in Kalispell, MT | Leslie B. Anthony, D.M.D. 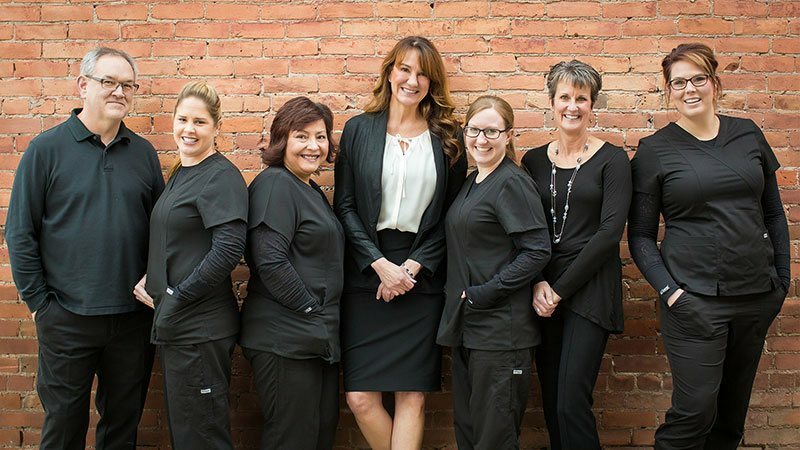 Your trusted dentist in Kalispell, Dr. Leslie Anthony, is dedicated to staying on top of the latest diagnostic tools and treatments. It is our goal to give our patients healthy smiles of which they can be proud. We want to achieve that goal as easily as possible for our patients. If you would like to visit our office, feel free to contact us today at (406) 752-8161. I've been going to Dr. Anthony for several years and have always received the best care from all the staff. They carry out their tasks with excellence, professionalism, and compassion. I wouldn't go anywhere else for my dental care. I am so fortunate to be the recipient of extensive dental work through Dr. Leslie B Anthony and staff who became partners with the Smile of Hope program. Dr. Anthony and her entire staff have shown me nothing but genuine kindness, and respect from the very first time I entered the office. The quality of care taken to ensure I have a beautiful smile and healthy teeth is beyond and above anything I have ever experienced anywhere. I am deeply grateful and humbled by the level of quality care I am receiving from Dr. Leslie B Anthony and her wonderful staff. Your generosity, excellent care, attention to detail, and obvious dedication has given me the ability to smile without shame and to be a healthier, happier, person. Thank you from the bottom of my heart. Best cleaning ever! I love the results of the "sandblasting" (not the actual term they'll use). It erases stains in all the tiny spaces/cracks that typical dental tools can't reach. Always a good experience. Called Monday morning with a piece broken off one of my molars over the weekend. I was in by noon and out by one thirty with a back to normal tooth. Excellent job by Dr. Anthony and Chelsea with Jed working the schedule. I feel so fortunate to have found Dr. Anthony's practice! They listen to my concerns and understand my needs. I feel really safe in their care, and this has previously been a challenge for me.